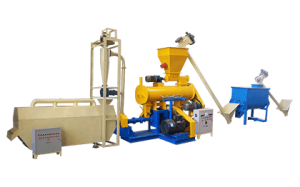 Fanway Fish Feed Machinery has made a lot of efforts to develop African markets, especially Nigeria, Uganda. Taking Nigeria market for example, from an overall point of view, fish products, on the one hand, constitute one of the most important nutritional products in Nigeria. On the other hand, it can promote domestic and foreign trade. 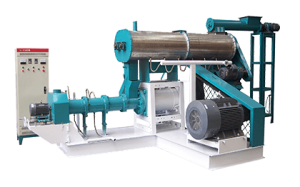 Fish feed dryer should be equipped in the complete fish feed production line. In April, 2015, Mr. Adedamola from Kaduna, Nigeria, purchased one set of fish feed pellet dryer for his fish farm which was established in 2013. Earlier in May, 2014, Mr. Adedamola bought a fish feed plant with smallest output (1 t/h) locally. 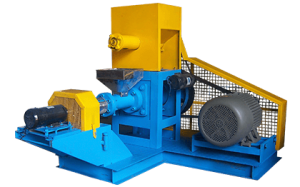 He said, the fish feed pellet mill functions well, but in December, 2014, he found there was something wrong with the feed pellet dryer machine. After a short observation, he decided to purchase a new set. ☆ wide application. It can dry fish & pet feed.